Gasp as tornadoes rip houses from the ground and frozen turtles hail out of the sky! Marvel at the man who survived seven lightning strikes, and the brave but crazy weather-watchers who fly straight into the eye of a hurricane! Read a weather safety manual, learn how to build a storm shelter… and pick up a few survival tips on a terrible tornado tour. 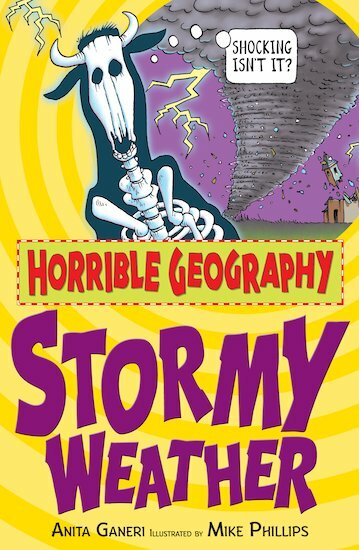 It’s a book where weather goes wild. Prepare to hang on tight!